The Wilmington & Western Railroad at Mt. Cuba in the late 19th century. 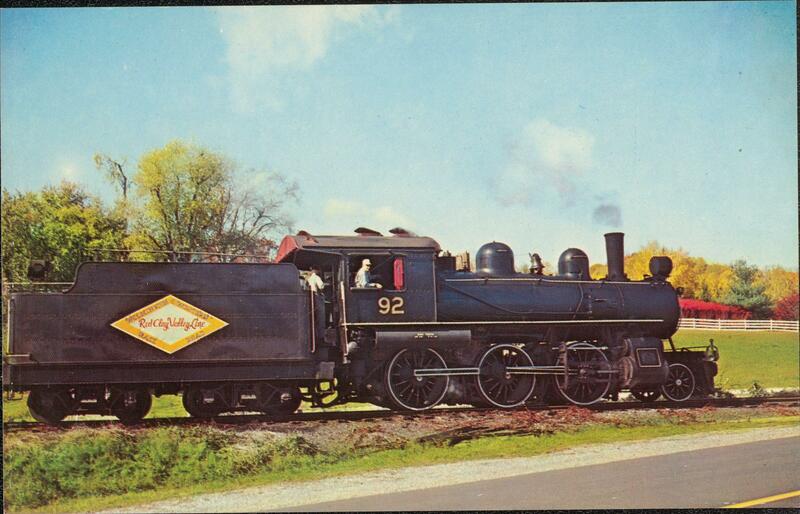 The Wilmington & Western Railroad in 1978. Railroads have played a key role in the nation’s transportation history, and Delaware is no exception. Starting service in the late 1800s, they connected small inland towns to big cities like Wilmington and Philadelphia – for work and play. As a young girl, the mother of Dover resident Patty Downes traveled frequently from Ridgely, Maryland, to visit her sister, who was living in Wilmington and working for DuPont. "They would go up for the day, have lunch, spend the day shopping, get back on the train and then come back home again," Downes said. 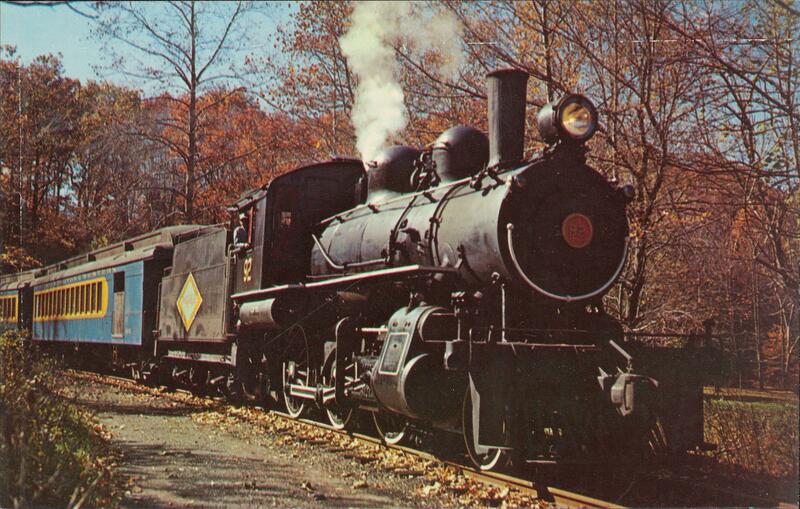 While passenger service ended in the 1930s, Delawareans and other visitors can still take a ride on the same historic railway that Patty’s mom rode over a hundred years ago. It’s called the Wilmington and Western Railroad – just one of a few historic train networks preserved across the country. And it’s run almost solely by dedicated volunteers, who’ve stuck with the railroad for decades. Dottie Spencer has volunteered with her husband Bob since 1978. “A friend nudged us, told us about it, and Bob’s family has been in railroading for a long time, and the bug bit," she said. Four of Bob’s uncles worked for railroads. He helped one of his uncles shovel coal into a locomotive as a child. And the passion for railroads stayed with him. “It gets in your blood,” Bob said. Bob and Dottie aren’t the only ones who share this passion. Robert Elwood has been volunteering with the Wilmington and Western since the late 80s. His grandfather worked as an engineer on the B&O (Baltimore and Ohio) railroad. Elwood is so passionate that he’s detailed the technical aspects and significant events of the railroad’s history in a 252-page timeline. We only touched on a few key points in that timeline, like the impetus for the beginning of the railroad – a booming mill industry in Wilmington. The railroad was also required to build hotels at the different stops, catering to passengers either just passing through or traveling long distances. And while the Red Clay Valley was ripe for new industries, there were also barriers to building the railroad. "They didn't really understand geology back then, and Delaware's got a lot of rock and it's the foothills of the Appalachians. So their construction costs skyrocketed," Elwood said. Aside from the geological constraints, there were financial concerns as well. And when the 1920s brought the rise of the automobile, the train stopped its passenger service not long after. The railroads were left to rely on the transportation of cargo, including poultry. Volunteer Len Beck gave me a tour of the car – still part of the Wilmington & Western’s tourist train. Beck remembers taking trips with his father via train to the shore during the war when gas was rationed. "In the 30s, early 40s trains were still paramount for transportation," he said. But when the “long depression” occurred, around 60 railroads across the country went out of business in a period of only two years and many mergers took place. The Wilmington & Western went bankrupt and was reorganized as the Delaware Western. The B&O purchased the railroad and operated it for many years. “The B&O and the Pennsylvania railroad both recognized that the future of railroading was to connect Philadelphia, New York, Boston, together," Elwood said. The railroads started to lay the foundation for today’s Amtrak lines, which were created through the Rail Passenger Service Act passed by Nixon in 1970. Amtrak started with 20 railroads participating, with the first – the Clocker – beginning service from Philadelphia to New York in 1971. The Delaware Western was sold again, and this time to the Historic Red Clay Valley: the group charged with running a tourist service on the historic Wilmington & Western. 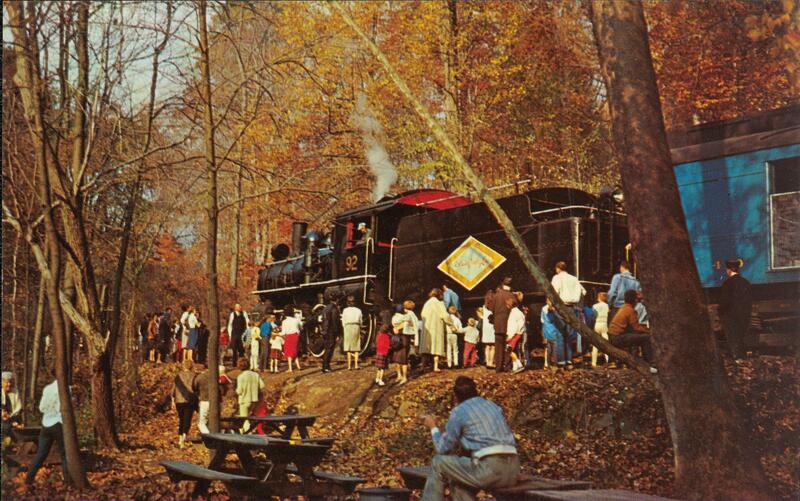 1967 postcard from the Wilmington & Western's Railroad titled "Brief stop at Wooddale." 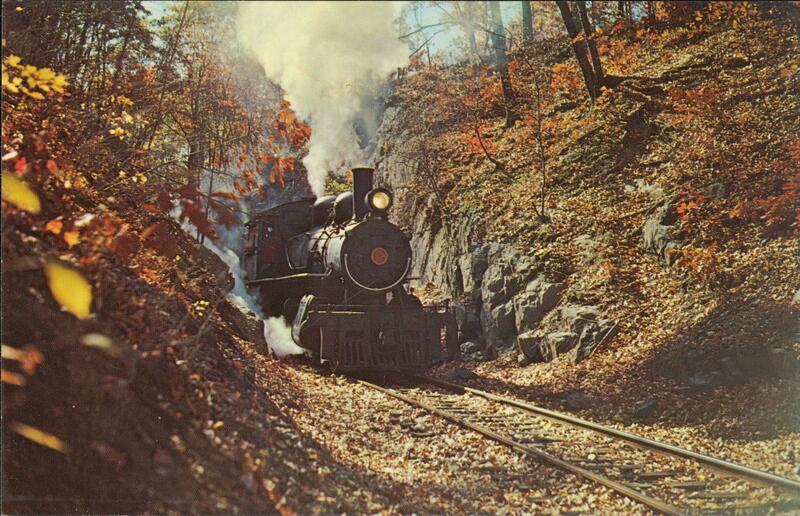 1967 postcard of the Wilmington & Western Railroad titled "Forging Ahead." "Rest stop at Mt. Cuba," from 1967 on the Wilmington & Western. 1967 postcard titled "Through the farmlands of the Valley." The heritage railroad is kept alive by train buffs like Tom Marshall, who helped secure the funding and support to purchase the railroad. “I had always wanted personally to be able to run a steam locomotive and you don’t often have to start a railroad in order to do that, but there weren’t any steam locomotives left in regular service in our area, anyway,” he said. But it took years for Marshall and others to get permission to operate the railroad. “The hardest job I ever had was to sell the unions – the local union people – that it was ok to do it. There was no precedent for volunteers operating trains on a class 1 railroad, which the B&O was," Marshall said. He finally got approval by the train unions in 1965, when they signed a contract allowing the heritage railroad to operate from Marshallton to Mt. Cuba. Elwood says the 1990s were smooth years for the railroad until Hurricane Floyd came through in 1999 and took out most of the line. “Wood floats and when the creeks rise, all of that wood starts to float,” Elwood said. They secured FEMA money – which helped save the railroad. Two trestles were rebuilt and reinforced by drilling them down into the bedrock using steel instead of wood. But then Hurricane Henri came in 2003, and washed out all of the trestles except the two steel ones built in the wake of Floyd. David Ludlow, Executive Director of the Historic Red Clay Valley. Ludlow has played an instrumental role in the maintenance of the railroad. "We’ve come a long way: we’ve built buildings, we’ve rebuilt from two catastrophic floods, we’ve built platforms, we’ve restored locomotives, we’ve restored steam locomotives, we’ve restored diesel locomotives," Ludlow said. He’s been involved in the railroad for over 25 years – starting out as a volunteer. One of his favorite moments? Driving the golden spike – a common tradition to mark significant events in railroading - when the Wilmington & Western celebrated its re-opening after it was closed due to flooding. Ludlow often got free passes to ride from Wilmington to Louisville to visit his grandparents. His grandparents worked for railroads in Louisville, Nashville and Illinois as engineers. "I guess the seed didn’t fall too far from the tree," he said. Ludlow says the holidays are important moneymakers for the railroad, especially Easter and Christmas. Santa Claus is so important to the experience, that the railroad joined the Real Bearded Santa Society of America. While the train now operates only a regular weekend schedule, it can be chartered for special events like weddings and family gatherings. Keeping it from operating in the red is hard work, but Ludlow isn’t about to give up. "People have said if you love your job you never work a day in your life. I’ve been very fortunate. I’ve been very fortunate," Ludlow said. As part of the railroad’s 50th anniversary celebration, a special photo exhibit of 50 images of the railroad from 1895-1897 are now on view at the railroad’s Education Center in Marshallton, Delaware. A reception on Friday August 26th from 6 - 8 p.m. will feature a train ride from Greenbank Station to the Education Center, followed by a talk by railroad volunteer and photographer Mike Ciosek. The photos will remain on display, and can be viewed by appointment. Tune in for September’s History Matters to hear about how railroads fostered the development of hotels and the early spa industry – revolving around the Chalybeate Spring in what’s now New Castle County’s Brandywine Park.